We continued our trek from Chame to Pisang (10,466 feet), climbing higher and higher into more mountainous and serene terrain. The presence of Buddhism surrounded you, just like the snow-capped peaks of the mighty Himalayas. The views were magical and you immediately felt at peace. As we climbed above 10,000 feet, we were finally introduced to our new friends, the yaks. Yaks are funny creatures that look like a cross between a cow and a buffalo and have very long, course fur. They commonly live in herds and are found in high-altitude climates above 10,000 feet. 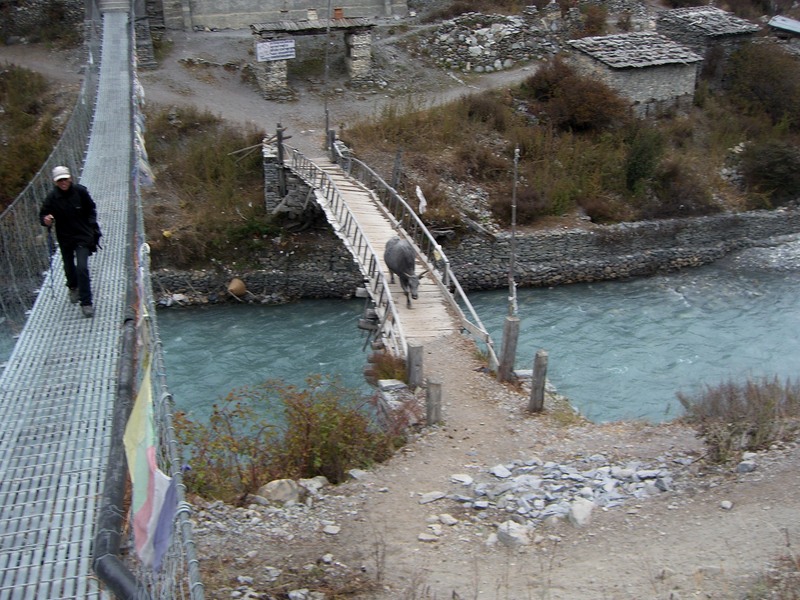 Yaks are an important livestock for rural villagers as they provide milk, meat, power (they are commonly used by farmers for transporting goods across the high mountain passes) and fuel (their dung is used to heat fires and provides one of the only fuels available in some remote, arid regions of Nepal and Tibet). 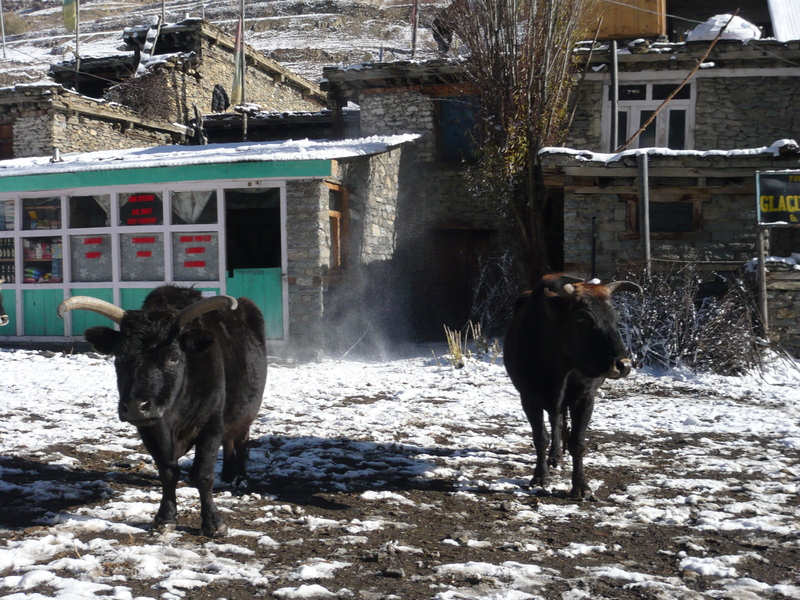 For some odd reason, I was fascinated by the yaks and loved their morning wake-up calls from outside my teahouse window.